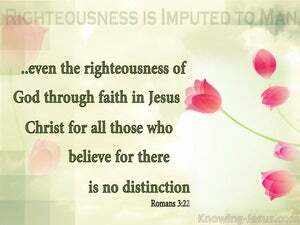 -that is, God's righteousness through faith in Jesus Christ, to all who believe, since there is no distinction. 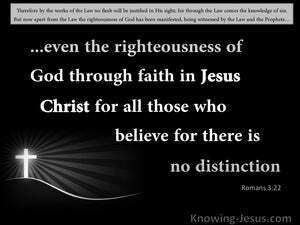 And the righteousness of God through faith in Jesus Christ is for all and upon all those who believe, for there is no distinction. It is God's way of uprightness and comes through having faith in Jesus Christ, and it is for all who have faith, without distinction. 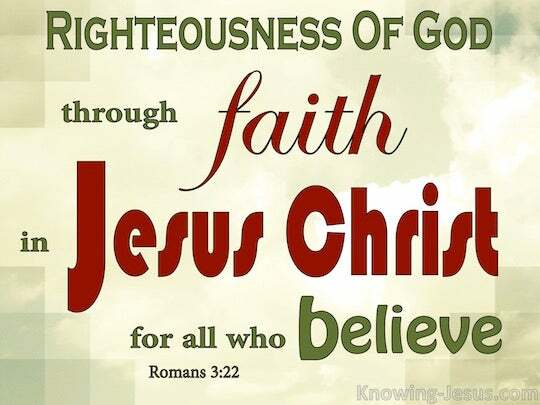 The righteousness, no doubt, which is good before God cometh by the faith of Jesus Christ: unto all, and upon all them that believe. 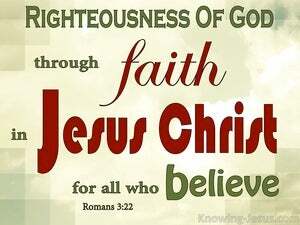 but it is a righteousness of God which comes by believing in Jesus Christ. And it is meant for all who have faith. No distinctions are drawn. even the righteousness which is of God through faith in Jesus Christ, hath been made manifest to all and for all believers. For there is no distinction. The Divine Righteousness which is bestowed, through faith in Jesus Christ, upon all, without distinction, who believe in him. God's own way of giving men right standing with Himself is through faith in Jesus Christ. It is for everybody who has faith, for no distinction at all is made.